The Sierra Club filed a formal protest to the U.S. Department of Energy (DOE) on Tuesday, challenging a proposal to export billions of cubic feet of domestic natural gas from a facility on Lake Charles in Cameron Parish, LA. 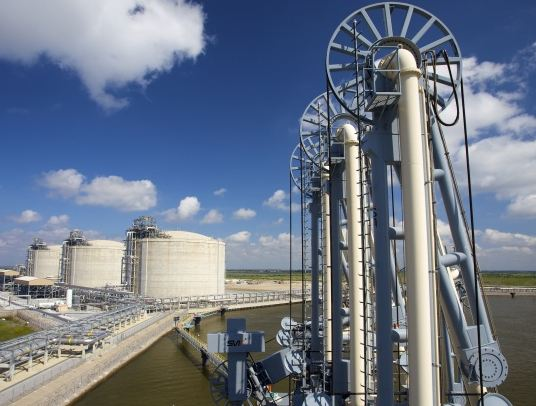 The Sierra Club’s protest challenges natural gas companies’ efforts to secure liquefied natural gas (LNG) export licenses without acknowledging its damaging effects. DOE is currently studying the effects of exporting as much as a fifth of the domestic gas supply, and the Sierra Club calls for similar studies of the public health and environmental damage caused by increased fracking. The Sierra Club’s challenge contends that the Cameron export proposal would lead to increased air and water pollution in Louisiana and Texas and raise domestic natural gas prices. The filing calls for a full Environmental Impact Statement to study the extent of this proposed facility’s environmental damages before DOE makes any final decisions. Weighing these threats is particularly important because the oil and gas industry currently exploits numerous loopholes and exceptions in federal safeguards, putting the health and safety of Americans at risk. This filing is the fifth protest the Sierra Club has brought before DOE and other regulatory bodies, opposing LNG export facilities. The other challenges were filed against Cove Point, MD, Sabine Pass, LA, Coos Bay, OR, and Freeport, TX. 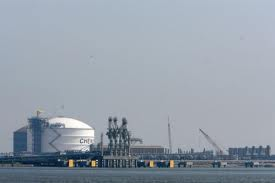 Cheniere Energy Partners LP (CQP) said Blackstone Group LP (BX) agreed to invest $2 billion toward construction of a $5 billion natural-gas export terminal. The financing is a “significant milestone” toward Cheniere’s plan to build the plant, Chairman and Chief Executive Officer Charif Souki said in a statement today. If built, the plant would be the first constructed in more than four decades to export U.S. natural gas by ship. Cheniere Energy is seeking final approval from the Federal Energy Regulatory Commission for the plant, which would liquefy gas for export from its existing import terminal in Cameron Parish, Louisiana. The Houston-based company obtained Energy Department approval to export after U.S. production of the fuel surged from hydraulic fracturing. “Obtaining this financing will be a significant milestone for the advancement of construction for the first two liquefaction units,” Charif Souki, chairman and chief executive officer of Cheniere Energy Partners and its parent, Cheniere Energy Inc. (LNG), said in today’s statement. The Blackstone entities have agreed to buy 111 million new senior subordinated paid-in-kind units for $18 billion each, according to the statement. Final terms are contingent on Cheniere securing debt financing. Cheniere expects to obtain the remaining financing by March 31 and to begin construction by June 30, according to the statement. The units that Blackstone is buying will pay 4.2 percent interest quarterly and convert to partnership common units once the first two sections of the plant begin commercial operation. Cheniere Energy Partners will use cash from the sale to buy the pipeline that connects the terminal to the U.S. gas pipeline network from Cheniere Energy Inc., according to today’s statement. The announcement was made before regular trading began on U.S. markets. Cheniere Energy Partners rose 6.7 percent to $22.30 at 8:46 a.m. in New York. 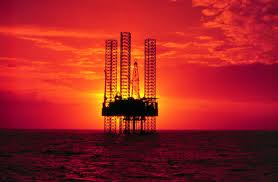 Cheniere Energy Inc. rose 17 percent to $16.42. I can’t stop hearing that famous Isley Brothers song Shout in my head as I write this post: “A little bit louder now, a little bit LOUDER now, A LITTLE BIT LOUDER NOW.” About a year ago, speaking at a popular oil and gas conference Chevron tipped its hat to McMoRan’s Jim Bob Moffett and his work in the Gulf of Mexico Shallow Water Ultra Deep (SWUD) play that has been ongoing for more than five years. That event was truly noteworthy because major oil companies rarely, if ever, acknowledge a little player like MMR as being out front and leading the wave on any important new geological play. Chevron has recently promoted the Shallow Water Gulf of Mexico to one of its top three areas of geologic focus around the world. And it is becoming more vocal about its involvement. Chevron is no longer whispering. In fact, there is a crescendo building in what CVX is saying about the Gulf of Mexico and what it is doing itself and with partners, both onshore and offshore. Many MMR watchers know that at 2011 year’s end, Chevron spud a well onshore in Cameron Parish, LA called Lineham Creek. It has a proposed total depth of 29,000 feet targeting the Eocene and Paleocene objectives below the salt weld. This is Chevron’s well in the Rockefeller Preserve, land that was donated to the State of Louisiana years ago. However, the royalty rights on the land were retained and passed to Chevron. In recent months, Chevron invited MMR to participate in the Lineham well and Moffett agreed as long as his Ultra Deep partners were also included in the project. What’s significant is that giant Chevron wanted MMR to join it in this project as an equal partner. After Moffett made sure his partners were along for the ride: MMR is participating for 36%, EXXI for 9%, and W.A. “Tex” Moncrief for 5%. Why? Because MMR now knows more about the SWUD than any other company. For sure, the view is that perhaps geologically this play extends onshore and not just in the shallow water. This well will explore that concept and is located halfway between (on an east/west axis) Davy Jones and Chevron’s Bear Hump well which has been completed and is now being evaluated. What MMR has mastered over these last few years at Blackbeard West, Blackbeard East, Lafitte, and its Davy Jones’ discoveries is now critical for anyone who is also pursuing bounty in the general area and at the depths below 20,000 feet that have become the new exploration frontier. During February, Bobby Ryan, Chevron’s VP of Global Exploration, spoke at another oil and gas conference about their enthusiasm for the SWUD and the work they are doing with MMR. On page 15 of its presentation, it describes the UltraDeep Gas Play as new play in a mature basin. Chevron can easily be a player because it already controls major acreage from wells drilled long, long ago and that are still producing to retain the leases. On that same slide, Davy Jones is listed as an exploration discovery. Who knew CVX was a player in DJ? If you have ever wondered why the DJ participation percentages never quite added up to 100%, now we know. 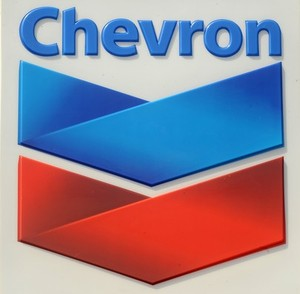 Chevron does not have a working interest but it does have a royalty interest in DJ. In probing, we also learn that somehow in the negotiations that have gone on this year between CVX and MMR, Chevron has also obtained access to the DJ logs and geological evaluations and interpretations which would not normally be available to a royalty interest holder. Moffett has told us in no uncertain terms that he intends to bring in a partner with very deep pockets to help develop the Ultra Deep play. He has also told us he plans to follow the model he used for the development of the Grasberg Mine at Freeport Copper and Gold (FCX) years ago. In that case, Rio Tinto came along for the ride after paying FCX $1.5 billion for which it received ZERO participation in anything that had already been discovered up to that point. It then paid up for a half participation of what came after. Perhaps we are in the very early stages in the mating dance between MMR and Chevron. Don’t expect a rush on that. For sure, Jim Bob won’t do anything until he has proved up exactly what he has so the reserve engineers are happy and he is fully paid for all the hard pioneering work of the last several years. We know that for a long time, the SWUD detractors have said there is nothing to be found in the Ultra Deep. So much has now been found that viewpoint has become ridiculous. Of course, flowing these wells is still to come. Another key in the shallow water is that offshore LA there are existing pipelines to carry these new discoveries to market right away. Billions will not have to be spent over future years to accomplish that part of the equation from the deepwater discoveries. As our country shifts, ever so slowly, away from coal and nuclear power and toward Natural Gas, nearby infrastructure is a very good thing. 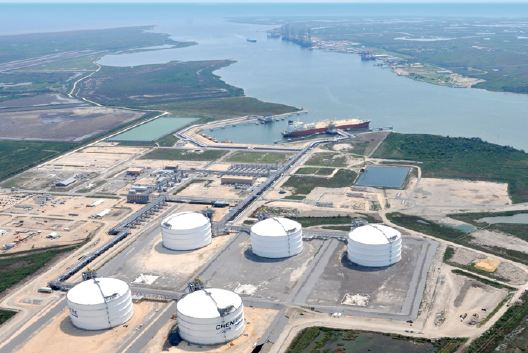 The U.S. Sabine Pass liquefied natural gas terminal received an LNG cargo yesterday, according to shipping data. The Arctic Spirit, owned by Teekay LNG, has a capacity of 87.305 cbm. Cheniere’s Sabine Pass LNG terminal is located on 853 acres of land along the Sabine Pass River on the border between Texas and Louisiana, in Cameron Parish. It has regasification and send-out capacity of 4.0 billion cubic feet per day (Bcf/d) and storage capacity of 16.9 billion cubic feet equivalent (Bcfe). St. Tammany Parish may seem an unlikely place for the drilling permit slowdown to affect business, but the 2010 BP oil spill and now delays from the permit moratorium and lack of permitting for deep water and shallow wells in the Gulf of Mexico are doing just that..
“Absolutely, St. Tammany has many businesses directly and indirectly connected to the oil industry, and they are affected by the industry slowdown caused by the permitting delays,” said Executive Director Brenda Reine Bertus of St. Tammany Economic Development Foundation. “Some of the parish’s businesses service rigs, some rehab products used on rigs and many are tucked away in the parish. During the study completed by GNO Inc., it was evident many are simply trying to hold on until things turn around,” she said. Suppliers of rigs, oil supply boats, caterers and equipment already know how hard hit they are, but this has been confirmed by the release of a study of the impact of decreased drilling permit approvals on businesses conducted by Greater New Orleans Inc. Participants in the survey represented small, medium, and large offshore supply and service companies in numerous industries. Answers provided included details on the revenue, cash reserves, employment, business plans, and personal finances of their respective companies. Key findings of the study show that 46 percent of businesses have moved all or some of their operations away from the Gulf of Mexico. In addition, 41 percent of businesses are not making a profit. Most, or 76 percent have lost cash reserves, and 27 percent of businesses have lost more than half of their cash reserves. Half of the businesses have laid off employees, and 39 percent of businesses have retained workers but have reduced their hours and/or salaries. Worst of all, 82 percent of business owners have lost personal savings as a result of the permit slowdown. Another 13 percent have lost all of their savings. “Through this study, GNO, Inc. has determined that the federal moratorium and the permit slowdown created significant negative “unintended consequences” for local businesses. While larger companies have deep cash reserves and the ability to shift assets outside of the country, Louisiana businesses dependent on the Gulf of Mexico for business have experienced significant financial hardship,” reported GNO, Inc. In 2011, the average approval time for a drilling plan was 109 days, compared to the historical average of 61 days. All deep-water plans that include any type of drilling activity must now undergo an environmental assessment (EA) process; for those plans requiring EAs in 2011, the average approval time was 213 days, significantly higher than the overall average approval time. Additionally, in 2011, only 34 percent of plans submitted were approved, compared to the historical 73.4 percent approval rate. Deep-water permit issuance continues to lag the monthly average observed in the year prior to the oil spill. Only two deep-water permits are being issued per month since November 2011, representing a monthly reduction of 3.8 permits, or 66 percent reduction from the average of 5.8 permits per month. This number also represents a five permit or a 71 percent reduction from the historical average of seven permits per month over the past three years. Shallow-water permit issuance is also below the historical average. Since November 2011, 2.3 shallow water permits, on average, were issued. That number represents a decrease of 4.8 permits or 68 percent from the monthly average of 7.1 permits per month observed in the year prior to the oil spill. This number also represents a reduction of 12.4 permits or a 84 percent reduction from the historical average of 14.7 permits per month over the past three years, according to the gulf permit index. A lack of permit approval can be taken as a lack of future business in the industry and many small and mid-size businesses have been hit hard with possible lack of future business as they had known it before the oil spill, thus causing many of them to either relocate or close completely, as the study has shown. The permitting process has become lengthy and mired in red tape, which has slowed the entire industry, affecting businesses throughout the area, even in St. Tammany.